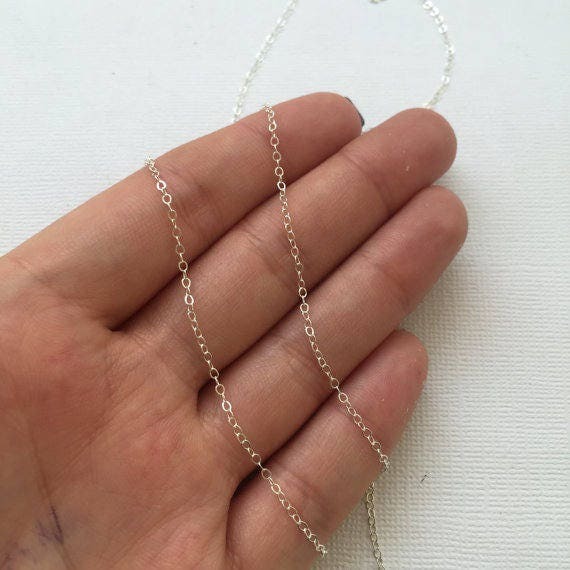 You’ll love this bright, sterling silver flat chain! 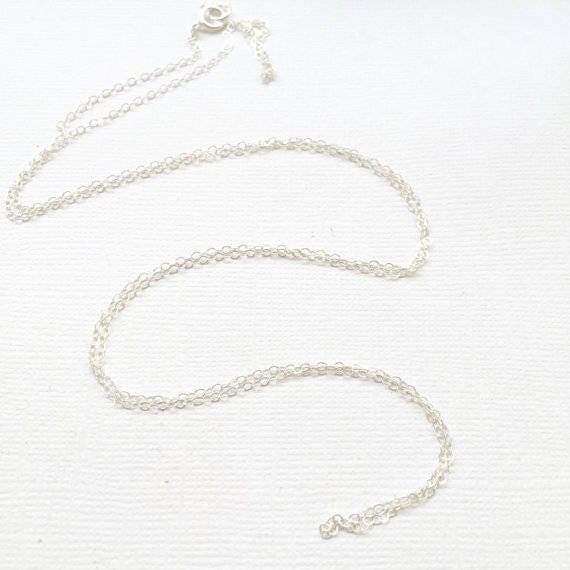 This lightweight chain features lovely and elegant flat cable style in a great size for everyday wear and all occasions. It’s finished with an elegant shiny polish that is burnished for lasting beauty. 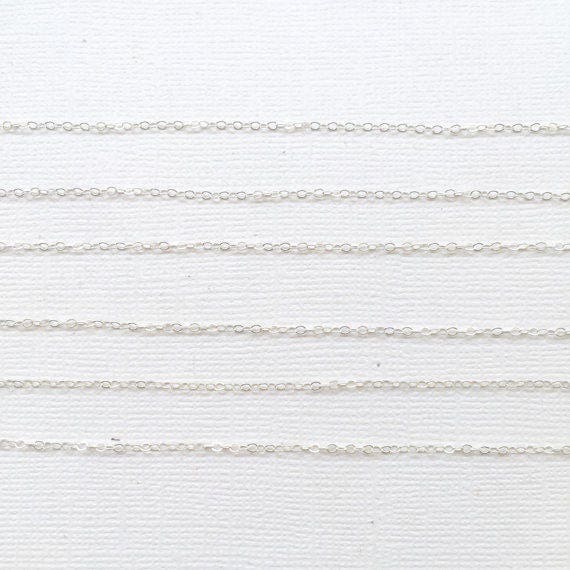 Choose the length you love to wear. It’s perfect for adding any charms or pendants from my shop to create your own custom charm necklace, as a must-have for your jewelry collection. 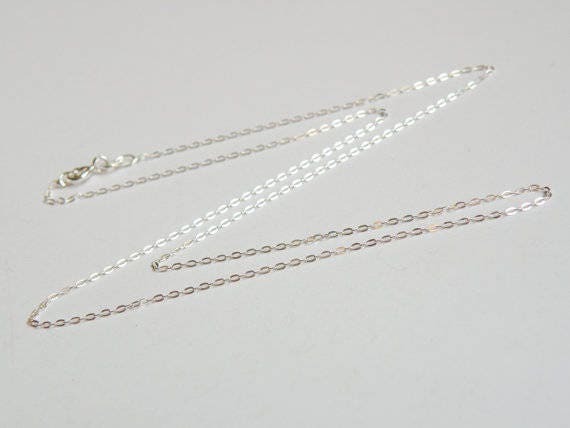 Sterling Silver Flat Cable 1.8mm Chain Necklace. •	The jump ring is "open" to allow the maker to attach charms, pendants, spacer beads, etc to create their finished necklace. 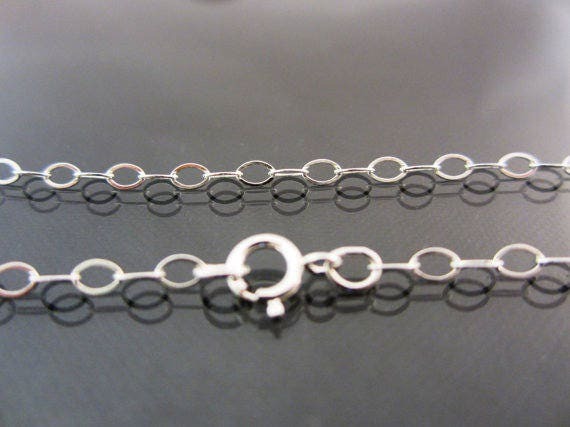 I hand cut each chain and finish it with a spring ring clasp and jump. Just clean it periodically with a polishing cloth. Simple! You can add charms to the same necklace by purchasing the Charm Only on any charm listing. Then simply indicate in the “Notes to Seller” box at checkout that you want them all on one necklace.